Panda Mobile Security has detected a virus. What should I do? Uninstall. This option will remove the application from the system. Exclude. This option will exclude the application from future scans. Cancel. This option will postpone the decision regarding the detection. 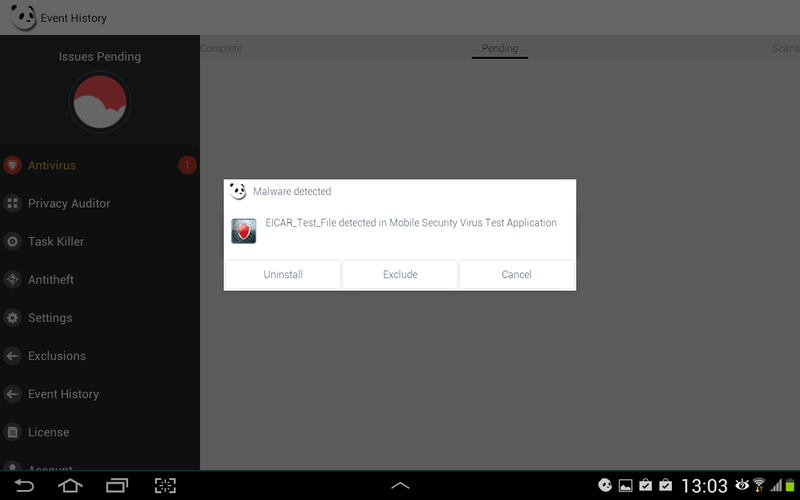 If the malware has been detected, we recommend you to choose the Uninstall option. If you trust the application and decide to exclude it, please send us a message through the Contact menu on the left to add it as a trusted application on our Collective Intelligence database in case of a false positive.